Acoustic Arts are a business that has been established for more than two and a half decades and specialise in state of the art tailored hi-fi to suit a wide range of homes and budgets. Experienced in working with architects, interior designers and individual customers they can provide the highest standards of installation and service for all audio visual enthusiasts. 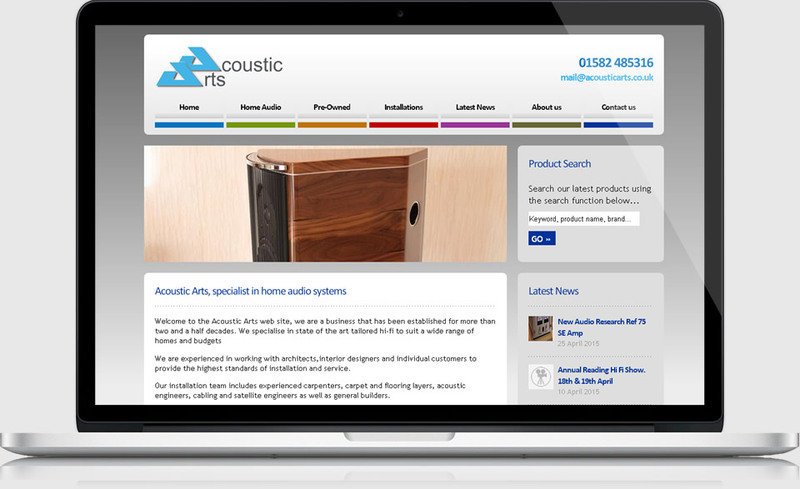 A brand new updated website for the team at Acoustic Arts – this was a full rebuild from scratch of their existing website, and utilising their existing content, but built with the latest KreatureCMS system and the latest spec CSS and coding.